Attendees at a recent Rockies game were hearing more than calls for peanuts and Cracker Jacks as they entered Coors Field on a warm summer day. CIGers dressed in vendor costumes offered up free mobile breathalyzer tests and education on safe driving practices to afternoon ballpark-goers. 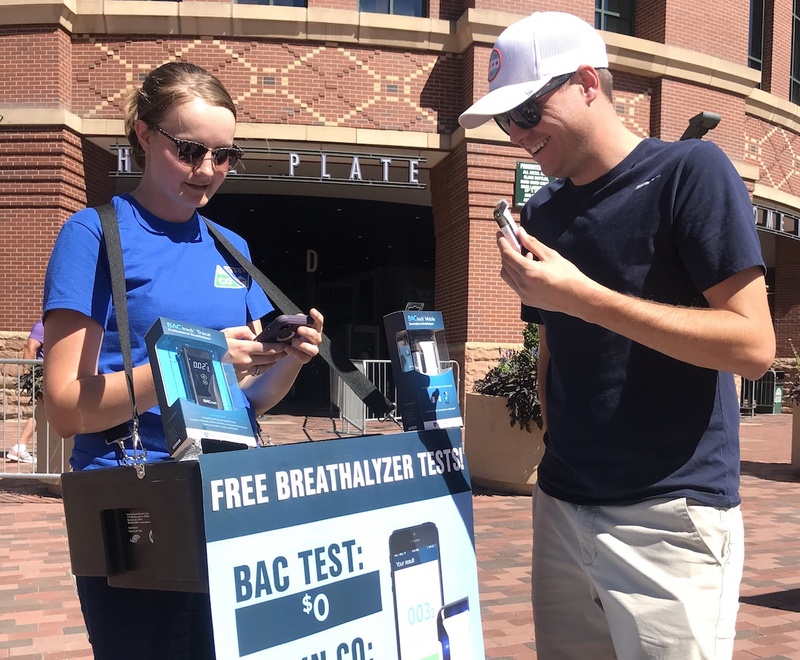 What started as a goofy idea turned into an eye-catching tactic with many interested baseball fans taking a breathalyzer test or asking for more information about the handheld devices. The breathalyzer stunt was featured on media outlets across the state, including CBS 4 who covered the story throughout the day. Abby tests an interested fan's BAC before a Rockies game at Coors Field.